Our company is dedicated to giving you control over your family choices, no matter what the circumstances are. Instant access to your plan on any phone, anywhere, allows your thoughts and ideas to be followed by anyone if you need help. Our network solution solves the problem of having fast communication with your own people when you need them, with pre-planned functions that matter to you. One call and everyone is notified to do what you need without a long discussion. Use a plan you have, or make a new one, our network notification service gets your information where you need it. Communicate your plan so you choose your own best life. Don't let others guess for you. After you have done your readiness planning and done the best mitigation possible for your family, you are still not prepared for the moment when you turn around and everything you know is gone. Pre-thinking and planning for a total loss within many different scenarios allows families and individuals to have a plan that they can hold on to and be ready to take their first steps. Families will be mentally prepared to understand that there is no reason for terror or great fear, because they and their children have discussed and compromised on a recovery path. 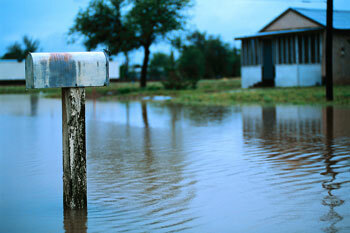 We are dedicated to helping them find this path with our CONTINGENCY PLANNING FOR FAMILIES and INDIVIDUALS. Circular Planning for Survival - Why? All disaster survivors will tell you that what happens in the first 24 hours of an event sets the tone for how a family or individual will respond and move forward. Countries such as Australia, United Kingdom, Bangladesh, and India, have started to find ways to address the need for a stable mind set within the first few hours. Our planning style includes the fact that the population of the United States sees themselves as fiercely independent in thought and function. They do things their own way. This is why each family needs to make their own circular plan for survival. Finding a way to stop the growth of terror and fear must be a process that people work out for themselves. This program is a positive mindset project that definitely allows children and young adults to learn a new way to respond to difficult situations. Putting these points together, we find ourselves needing to teach our children the real facts about disasters, the perspectives of our neighbors and the importance of culture and faith that must be a part of any critical planning that is done. Kids need to know who they are, what they can compromise on and what their priorities are for a long term recovery. It is very hard to teach people the emptiness that is present when an event takes away the life that you have worked so hard to achieve. The situation becomes an internal conflict that you must fight to survive. Contingency planning is specific, pragmatic, and detailed in its circular function. A circle offers children the ability to understand sliding to the bottom and then having several stairways that are available to climb back to the top. Circular thinking is critical for the understanding of how to move forward after a major disruption in life. It allows you to be able to deal with the fact that normal activity is often not possible. The purpose of Circular planning is to allow you to change your course in a temporary downward direction to decrease the amount of pressure that you have to deal with at one given moment in time. You choose something to do that allows you to tread water in your own environment while you pull yourself together and make plans to return to your normal life. Allowing yourself the freedom to stand still for a period of time to allow you to think clearly and plan can be priceless. At the end of the day as the dust settles, you may have lost all of your material possessions, but you will still have your CIRCLE PLAN. When your children ask you what is going to happen to them now, you can say that we will all sit down together and discuss again the CIRCLE plan that we have already made as a family. Disasters put everyday people into their own personal war with an internal conflict that can be overwhelming to recover from. In the United States, many people view this personal turmoil as a sign of weakness that should not be accommodated. There is no such thing as a sub-class citizen. Wisdom comes from knowledge, and action comes from understanding what to do. Having the correct mindset and a plan puts you in the position to win back your life. When I became a survivor of a disaster event, it took me ten years to recover from the physical damage I sustained and become myself again. The journey was unbelievable and the fact that I was a doctor did not help me when I needed a plan for recovery. You are perceived differently. Your life changes physically, emotionally and your social life changes because you are no longer the same person that you were before the event. You need to be ready to remember who you are and what you want. This plan method is made to help you save your ideas and thoughts and allow you to share them with the ones who care about you. To help you start thinking about situations we have included true family stories. They are from people I have met and treated. I cannot stress enough how important pre-planning is for a good result after something goes very wrong. We give you 24/7 access to your plan for needed changes and a notification service to 10 people that matter to you., By having the program web based and on your phone, you can adjust your plan anytime you need to and anyone's phone can reach us. We are also available to consult with you and answer your questions as part of your membership. But first you must seriously consider what your family needs are and enter the plan in the portal so that your plan choices can be accessed and followed in the middle of chaos by anyone who is there to help you. In this way you have control over your life in good and bad times. Personal control is the driving force behind almost all decisions people make in their lives. STAY IN CONTROL AND MAKE A CONTINGENCY PLAN NOW! 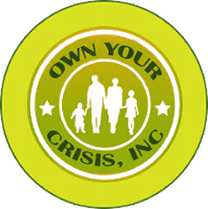 To learn more about family contingency planning, contact OwnYourCrisis,Inc in Rockville Centre, New York.